How to send Beam invitations to Contacts in SFDC. How to Invite a Contact. Navigate to a contact and click on the "Beam Invite" button. This will start the Beam Invite wizard.When multiple Beam Orgs are configured then they will be listed. Select the one you desire and click Next. Then if multiple Device groups are available they will be listed. Select the Device Group Desired and click "Send Beam Invite"
A confirmation will then be show. Click Continue. Then the milestones will be updated on the Contact record in the Beam User Status section. You can see the Beam User Activity of this new User on the Contact Page. You also can see the status of all the Users that have been invited and their Milestone Status for a given Beam ORG. 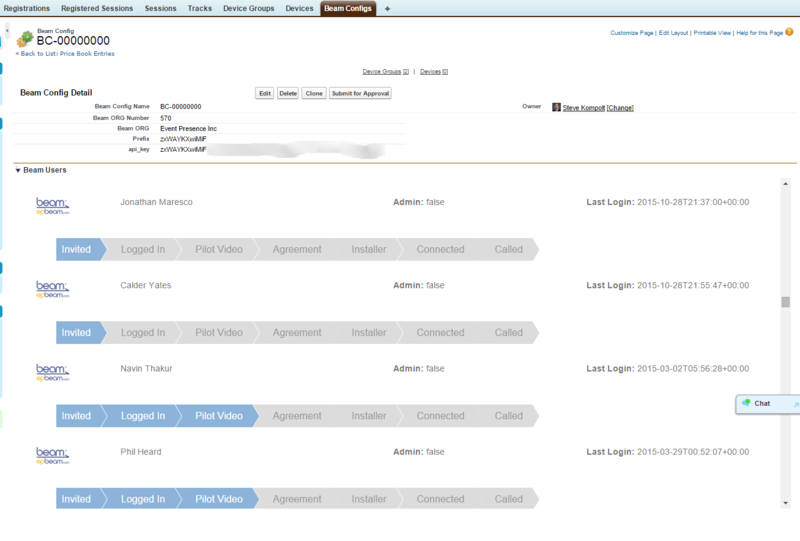 Go to the Beam ORG config and there will be a dropdown arrow to reveal the Beam Users for that ORG. That is it. Enjoy sending your Beam invitations.